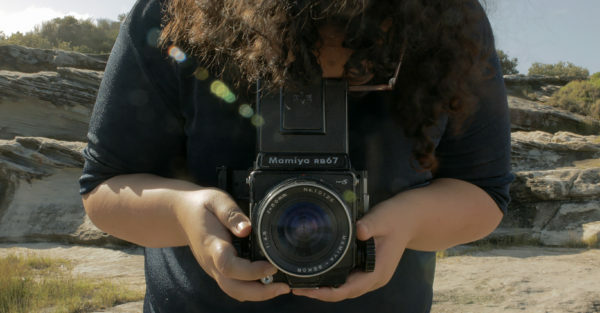 Filmmakers Pearl Tan and Sarinah Masukor from the City of Sydney have been selected to make three-minute films as part of the latest Diverse Screens project. Films will bring new insights, stimulate discussion and generate ideas around cultural diversity, equity, access and inclusion in the arts and creative industries, as part of DARTS’ broader ‘arts as advocacy’ philosophy. Films can be in any genre and previous Diverse Screens filmmakers have produced comedy, drama, documentary and mockumentary films. Diverse Screens films have previously been showcase at Made in the West Film Festival, Joy House Film Festival, World Film Fair in New York, Zlatna International Ethnographic Film Festival, Real Film Festival Newcastle, Wollongong Film Festival, Lift-Off Film Fest and the Urban Screens network. Sarinah Masukor is a writer and filmmaker living in Sydney. Her work explores how it feels to live in the 21st century. In 2018 her short screenplay Cut and Thrust was performed in the inaugural Equity Diversity Showcase. She has been published in Frieze and The Lifted Brow and currently reviews films for ABC Arts. Between 2017 and -2018 she served on the board of Runway Australian Experimental Art where she co-edited an issue celebrating the work of diverse female filmmakers.